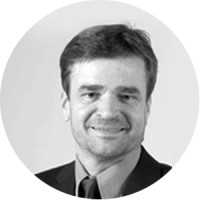 Carsten Tripler has been a consultant in the field of human resources since 1989, working in a wide variety of settings in Europe, Asia and North America. Carsten helped found SyNet and has worked with thousands of people, resulting in the improvement of their methodological and social management skills and personal effectiveness. Based on the SyNet business concept and his networking expertise he consults fortune 500 Fortune companies in building intelligent cross business informal and formal networks to better tackle today’s and tomorrow’s challenges.